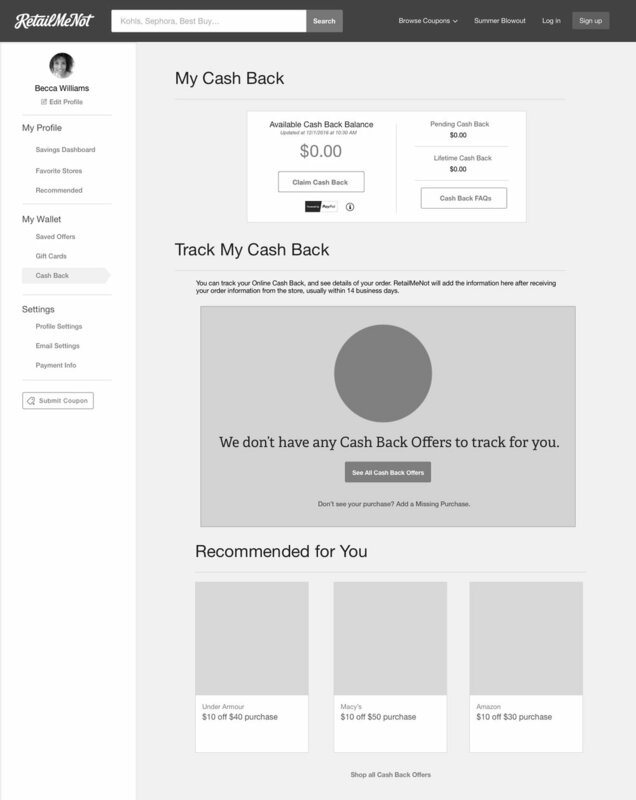 RetailMeNot crafted a new offer content type, Cash Back Offers. 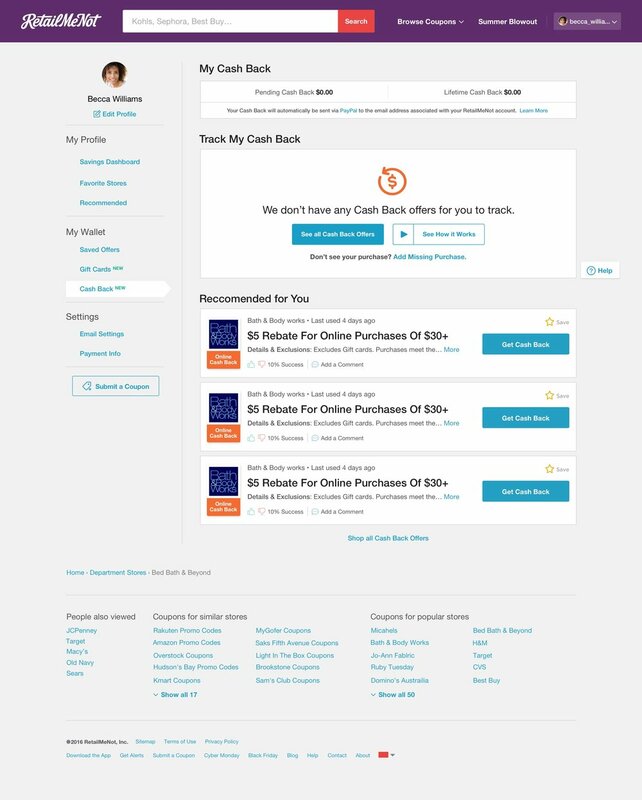 Users could discover new forms of savings on top of the bread and butter coupon code content RetailMeNot is known for. A web wallet would provide users a place to track the status of their cash backs, as well as accumulate value of user's savings. 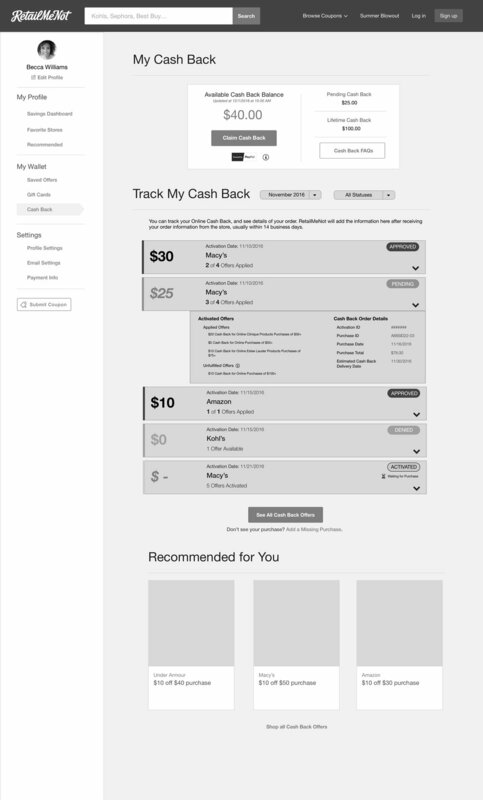 As a savings minded shopper, I want to easily be able to know the status of my cash back offers so that I can know when to expect my funds.